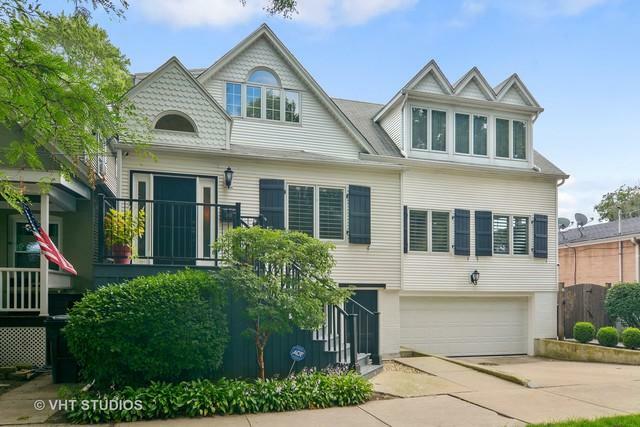 This gorgeous, extra-wide home sits on a double lot in Roscoe Village/North Center. 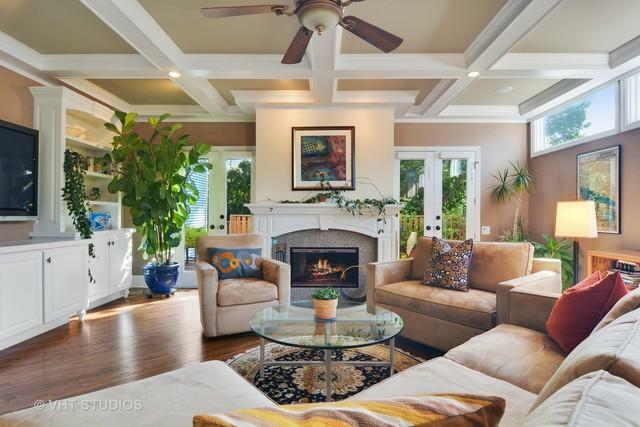 The large, separate dining room and cozy, seating area create the perfect entrance to this unique home. The living room is flooded with natural light. 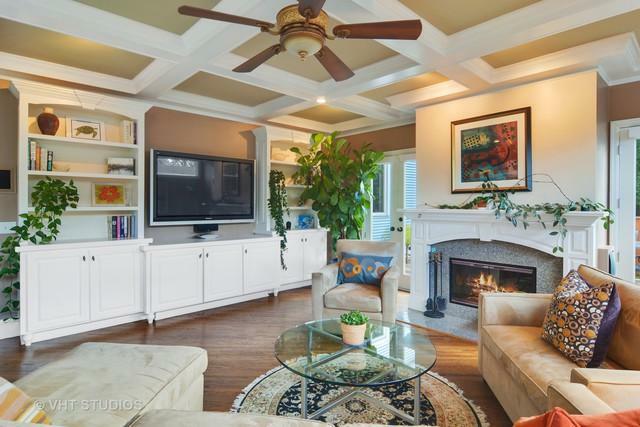 It boasts custom, coffered ceilings and a beautiful fire place that makes anyone feel right at home. The gorgeous chef's kitchen has top of the line, stainless steel appliances and a double pantry. The eat-in kitchen opens to one of three outdoor spaces. The second floor has a large master suite with a serene, spa-like master bathroom. Bathroom has double head steam shower, double sink and a separate water closet. There are two large bedrooms on the second floor, and a guest bath. 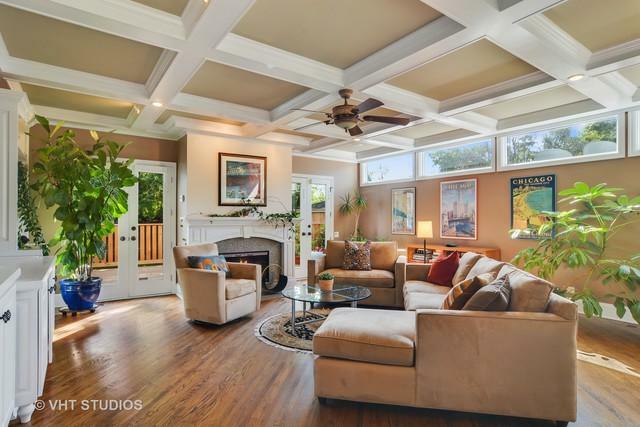 The lower level has a large family room, with a wet bar, perfect for entertaining. There is a guest suite on the lower level. There is a full laundry room and breezeway that lead to a 2+ car, heated garage. Three large decks, a patio and a private, meticulously landscaped lawn. © 2019 Midwest Real Estate Data LLC. All rights reserved. IDX information is provided exclusively for consumers' personal, non-commercial use and may not be used for any purpose other than to identify prospective properties consumers may be interested in purchasing. Information is deemed reliable but is not guaranteed accurate by the MLS or Mark Bowers Team at Berkshire Hathaway HomeServices Snyder Real Estate. The data relating to real estate for sale on this website comes in part from the Broker Reciprocity program of Midwest Real Estate Data LLC. Real Estate listings held by brokerage firms other than Mark Bowers Team at Berkshire Hathaway HomeServices Snyder Real Estate are marked with the Broker Reciprocity logo or the Broker Reciprocity thumbnail logo (a little black house) and detailed information about them includes the names of the listing broker. Some properties which appear for sale on this website may subsequently have sold and may no longer be available. NOTICE: Many homes contain recording devices, and buyers should be aware they may be recorded during a showing. Data last updated: 2019-04-20T23:50:59.61.